The tale of how his daughter’s bad experience with an ice cream truck vendor planted the seed for Tony Lamb to found Kona Ice has been shared many times. There is a lot more to the story, however, of how the Walton entrepreneur turned that unfortunate encounter into shaved-ice gold. Tony Lamb, founder of Kona Ice, which now has more than 700 franchises nationwide (photos by Mark Hansel). At the time, Lamb was working out of Louisville as a contract marketing consultant and was on the road five or six days a week. He was making good money, but just wasn’t happy about being away from his wife and four children for long stretches. The upside to spending so much time in the car, however, was that he had plenty of time to think. 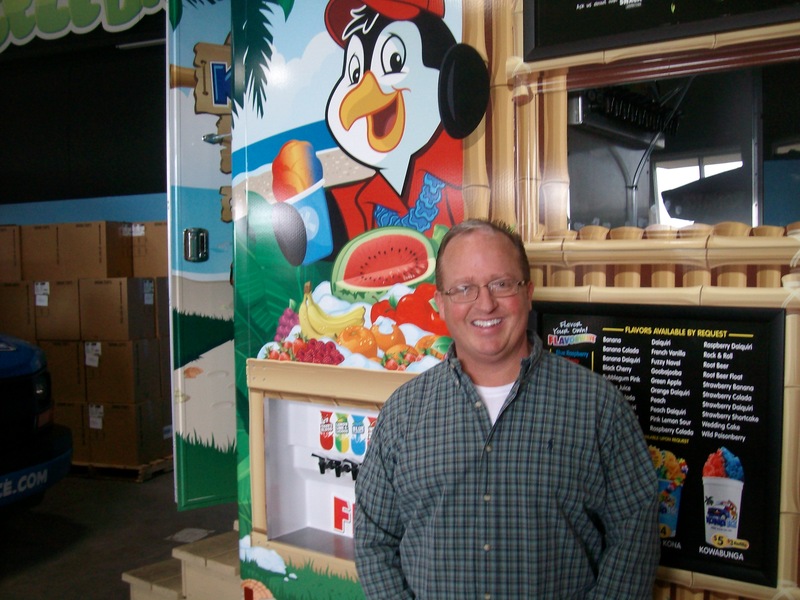 The “guy” – Ed Reynolds, who owns Eagle Financial Services and Sims Furniture – was so intrigued by the concept that he not only encouraged Lamb, he became a partner in Kona Ice. He owns 47 percent of the business. “He doesn’t want the limelight, but if it wasn’t for him I wouldn’t be here,” Lamb said. Kona Ice is headquartered in Florence and employs about 40 people locally. The company started conceptually in 2006 and the first trucks rolled out in the summer of 2007. The Franchise business began a year later with a handful of trucks. In 2009, Kona Ice sold 50 franchises, which is a significant number, but Lamb still felt the growth was manageable. Fifty became 60, then 80, then 100 and in 2014 Kona Ice sold 142 franchises which ranked No. 10 nationally among all businesses that offer the licensing agreements. That was when Kona Ice went from being just the shaved ice guys to a nationally recognized and respected brand. Prior to that, Lamb had been reluctant to talk about the success of Kona Ice, but realized that he owed it to the franchise owners to focus more on media and publicity. From a branding and marketing standpoint, there is plenty to talk about. 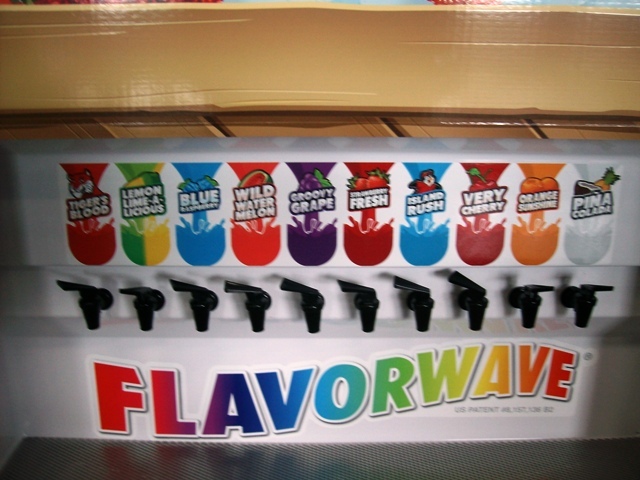 The Kona Ice FLAVORWAVE offers a wide range of options for customers to choose from. Lamb and his team have taken the simple shaved ice concept and developed a solid business model based on community partnerships, as well as financial success. 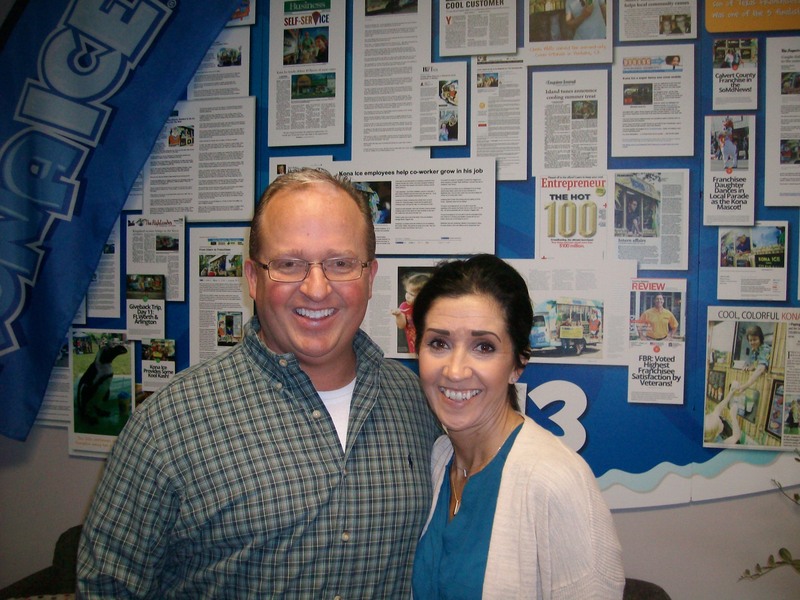 Since its inception Kona Ice has contributed $35 million to neighborhood schools, organizations and teams. That’s when Lamb came up with an idea that has become a hallmark of the Kona Ice business model. The concept includes other community organizations, such as the Boone County PeeWee Football League. When Lamb approached the league organizers, they had a shaved ice vendor who payed $400, but Lamb didn’t just want to pay a fee, he wanted to be a part of the program. Kona Ice also just completed a press box remodeling project at the league field off of Hopeful Church Road that included awnings and a new floor. “I did it because I love being associated with it and they have always been so gracious to us,” Lamb said. With more than 700 trucks, the business model is firmly in place and new franchisees are coming on board every day. One of Tony Lamb’s dreams when founding Kona Ice was to spend more time with his family. He has achieved that goal. Wife Susie Lamb, shown here, works with Tony every day and his four children are also actively involved in the company. Lamb has now turned his attention to the long-term stability of the business. “We are actually getting ready to buy property in Austin, Texas to develop a flavoring company, Creations Flavoring,” Lamb said. Texas is the biggest franchise state for Kona Ice, with about 125 franchisees. Lamb recognizes that, from a marketing standpoint, there is nobody saying we need more sugar, artificial flavors or gluten, so the move towards nutrition is going to continue. Lamb approached the company’s current suppliers, but there was not a whole lot of support for making a healthier product, so he decided Kona Ice would do it. Of course, it seems nothing worthwhile is ever easy and all-natural products such as coconuts and peanuts, make for a very long allergen statement but Lamb isn’t complaining. More than 700 franchisees and employees attended this year’s Kona Konvention at the Northern Kentucky Convention Center. The Florence-based business has grown from just a handful of trucks to one of the country’s top franchises in just a few years and contributed $35 million to schools and community organizations (Provided photo). One of the biggest challenges in developing a nationwide brand with franchisees is consistency and Lamb has addressed that through Kona Kollege. The course is available at no charge and the 47th class just finished its training. Lamb flies in marketing veterans to help train, demonstrate products and equipment, work on social media and build a website within the company site. Lamb is not sure what is next for Kona Ice, but the goal of spending more time with his family has already been accomplished. Susie, his wife of 23 years works alongside him every day. His son Jake, 21 runs the Boone County operation, which includes four trucks, and daughter Annie, 19, is interning with the company’s graphic designers. His other two children, Jonah, 15 and Ava, 13 are also actively involved in the family business. Love you miss Susie! congratulations on your wonderful family and business! This is awesome! The Lamb’s are a great family and Tony is as good a man as he appears. What you see is what you get. This is the American Dream come true! Congrats!